Well, I've only had Ellsworth for about 6 weeks but I totally adore him. He's a rescue, so I don't know much about his past except he was a stray. 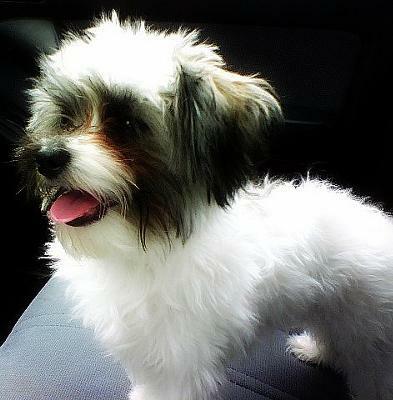 The vet said he's a Maltese Terrier mix and about 18 months old. He has several unique characteristics, the coolest being his one blue eye. He also alternates twirling around like a maniac with jumping extremely high while howling. But my favorite characteristic is his loving personality. He wakes me up every morning by kissing my face, while blocking my other dogs from greeting me. Did I mention he's a jealous one!!! I named him after my grandfather because they have the same sweet, kind-hearted disposition. I was initially supposed to foster Ellsworth, but I knew from the moment we kissed we would be inseparable. Call me a Foster Failure but that's OK with me. 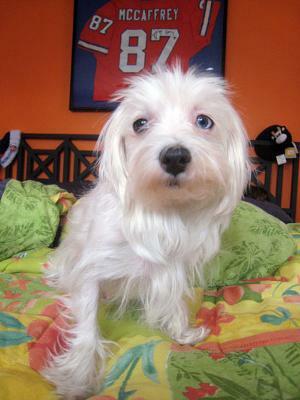 I may be adopting a Maltese terrier mix named Rex that looks just like your little guy except both his eyes are brown. What really caught my eye was your dog's name. My father's name was also Ellsworth! 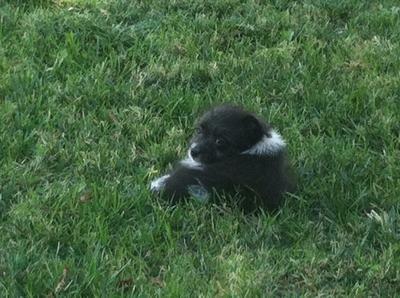 Our Briley was the victim of a backyard breeder. When he was brought in to the shelter wrapped in a towel, the staff didn't think he was even alive. Thank God he was. He was very under weight and had to have an IV. He was so small and scared that he was taken home each night by the wonderful angels at the humane shelter and spent his days in the office of one of the staff with her two big babies. food and meds for his tummy. We took him to Petco to see if there was something else to feed him. 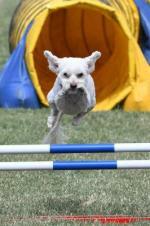 His next angel was Robyn, a dog nutritionist/trainer who suggested grain free food. He has thrived on it, has gained 5 #'s in the 3.5 months he's been with us. Plus Robyn is his trainer, she always remarks at how smart he is and easy to train. He looks just like Ellsworth. He is the sweetest dog ever. He lives for belly rubs and to give lots of kisses. He is a mama's boy but is happy to be with daddy too.He invites us to play several times every day by barking and howling at us. We never leave him alone and the few times we couldn't take him with us he goes to a friends house who also has a small dog. She tells us how he howls and cries when we leave. 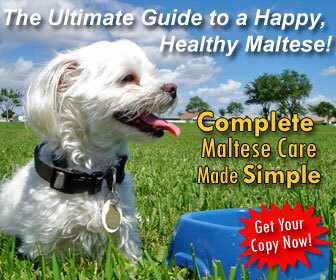 This Maltese terrier mix breed is soooo loving and brilliant. I thank God every day for saving hin for us. Just wondering if you could give some input into how often this mix barks. Our daughter (16) is begging for one and we don't know much about it. 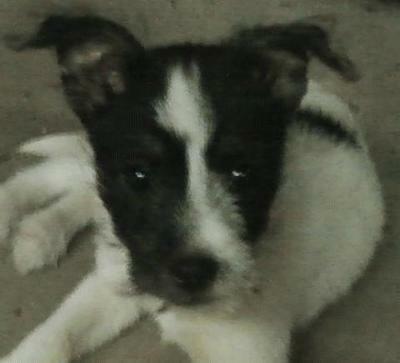 We have a rat terrier maltese mix that looks similar. She has a lot of the characteristics of Ellsworth especially keeping our other dogs from joining her in our lap (but not in a bad way), she just wants all of the attention. I have never have a longer haired dog so it was a learning experience keeping her white coat clean. But she is a character, like Ellsworth, and a joy to own. Her name is Tracie. Best of luck with Ellsworth. Ellsworth is super cute and seems so happy. That blue eye makes him one special little puppy. We have a little Maltese boy who has 2 blue eyes. Although many breeder snobs, from what I have read, claim this is a genetic defect that could result in blindness or hearing loss and is a look frowned upon... well, they are just missing out on something special. Not to mention, the blue eyes are merely a genetic deviation and they can have perfectly healthy and happy lives. I hope there are years and years of puppy kisses in your future. What a beautiful pup! Its great that his past never broke his spirit! Same happened with my little maltese/chihuahua. Rescue dogs are extra loving, and it feels great to give them a second chance in life and let them know how amazing it feels to be with a family that loves them. Take care of him, he's a special and beautiful one! Ellsworth is absolutely adorable!You are very lucky to have found him! Enjoy every moment! Buddy Love is a 6lb. 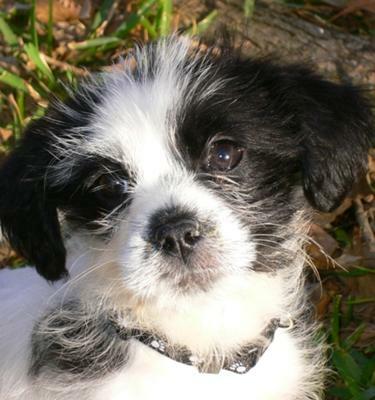 Maltese Terrier mix. He is 2 years old and he is the perfect pooch! Buddy Love is very smart, spunky, and extremely lovable! Buddy's favorite thing to do is play with other dogs or people! He definitely has "Little Man Syndrome". He likes to act like he can dominate even when his 6 pound frame barely stacks up against the 60 pound black lab at his grandma's house. Buddy is fun loving and affectionate. My Maltese Terrier provides for some great comic relief, yet he can still comfort you on your worst day with his compassionate side. Two Paws UP! for Buddy Love! Hi Buddy Love! We are 2 Maltese dogs LuLu and LoLLy! We wanted to give you Two Paws UP! for your eggselent post! Also, your pikture is very adorable! Your Maltese paLs, LuLu and LoLLy! 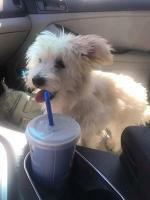 Lil' Wan is a 5.5 months old Maltese Terrier puppy. This is a picture of her at 4 months weighed 4 lbs then and now she is a whopping 5.7. Energetic and playful, loves to run in that backyard and play with my nephews. She loves to curl up in your lap at the end of day and just be. On leash she acts like she's ready to show off. i don't really now what this website is about ! she sounds just like the perfect pup! Hi,I'm so interested in your gorgeous Lil Wan as I have a Mattese cross who looks almost identical. He's called Milo and is nearly 6 months old. I'd love to see more pictures and hear how she is getting on. Kathy from England. 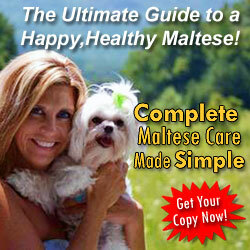 He is one of the most loving Maltese terrier mix dogs. he has brought joy into our life by bringing down my blood pressure. 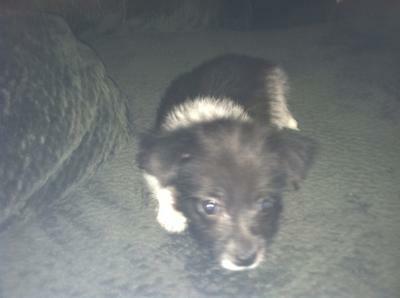 I can't wait to get home to see him when I get off work and my hubby just love's our Terrier Maltese mix. Our Oreo is Maltese mix but father unknown. My boys and I think, she is Maltese and Terrier mix! 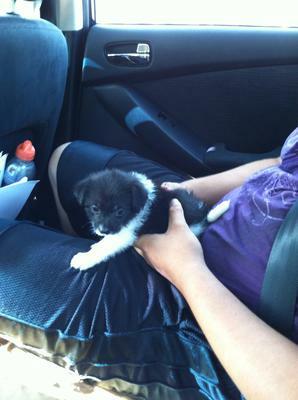 When I got our Oreo without asking my husband, I thought I had to give her to my brother who actually was looking for a puppy but my husband fell in love with her as soon as we walked in to our house. 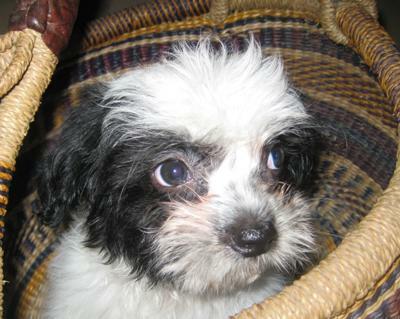 when we got her, she was 6 weeks old and full of energy but looking for a family who will love her. She knew once she got into my car with the boys that she found the home! She was too young when we first got her and she needed our warmth while she sleep. She took over our master bedroom and our bed! Now she is 8 weeks old but she thinks the bed is hers! she is just ADORABLE! She is really smart girl who is already going outside to use toilet! She has a full of energy and loves to chase her tail. We love her and since we got her our family seems much more closer and do lots stuff together. For us, she is the daughter we always wanted! Now, I don't have to be the only female in this household. I never knew I can actually love dog until I saw her for the first time!